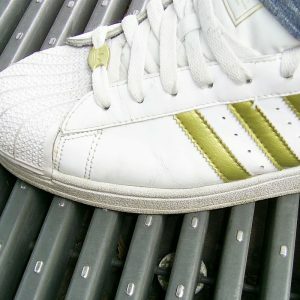 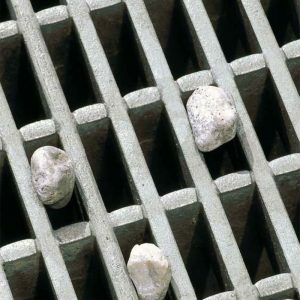 Off-shore grating is an electrofused grating specially designed to prevent the passage of a 15mm sphere. 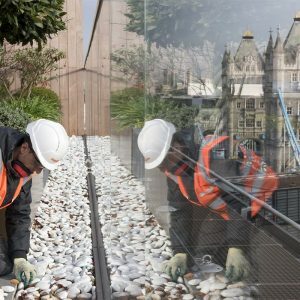 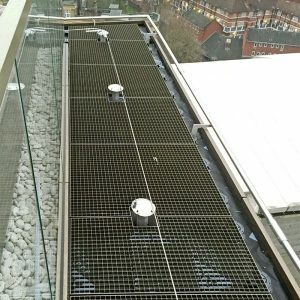 The twisted transverse bars are spaced at 100mm centres and a 6mm round bar is fused to the underside to close the gap between the load bearing bars, preventing small objects such as nuts and bolts from passing through the grating. 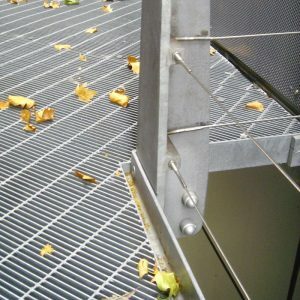 This alternation of the bearing bar and round bar achieves a lighter panel which delivers the performance of a fine mesh. 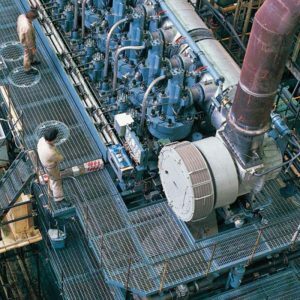 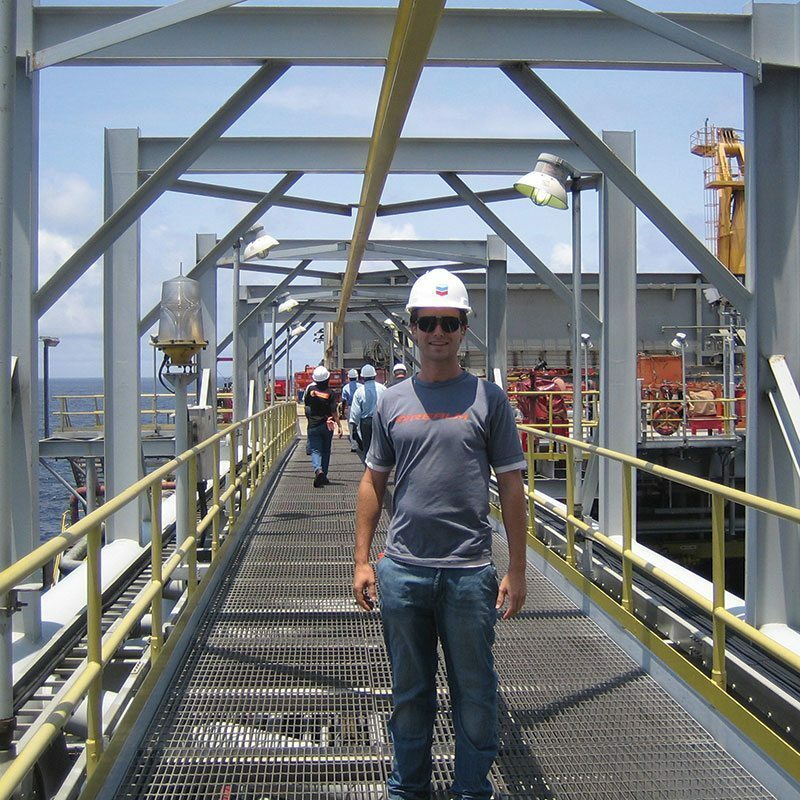 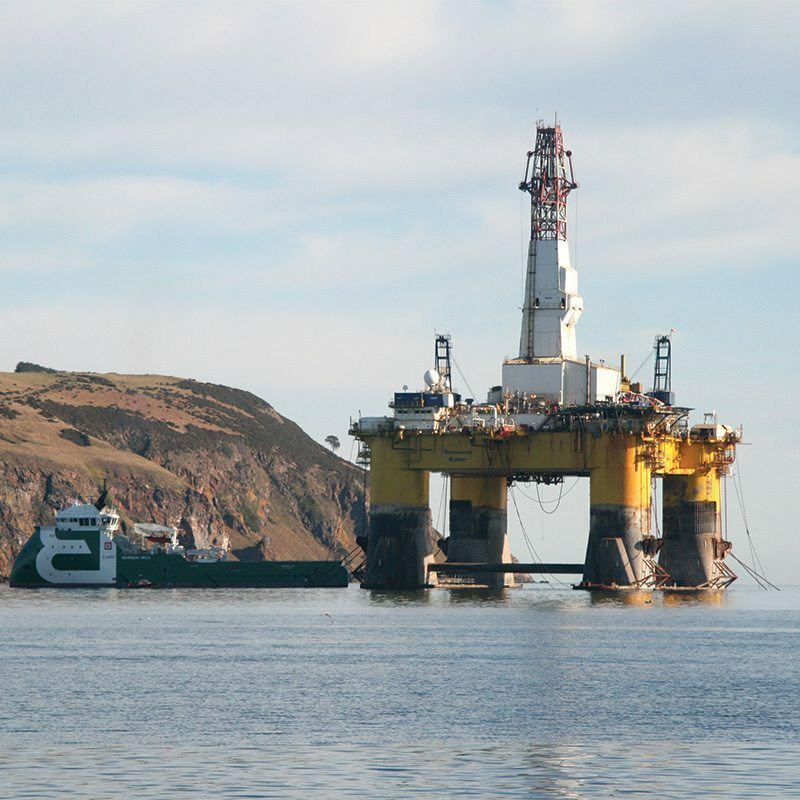 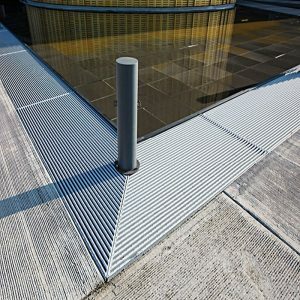 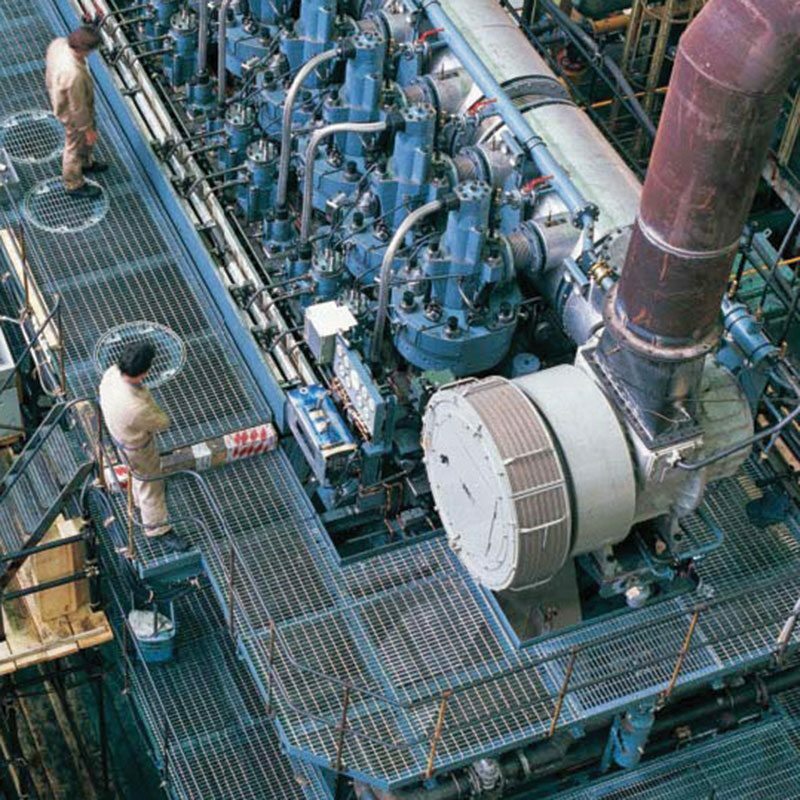 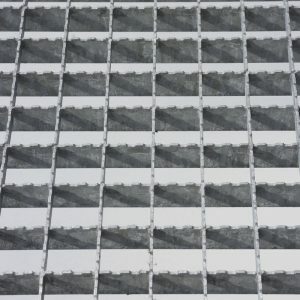 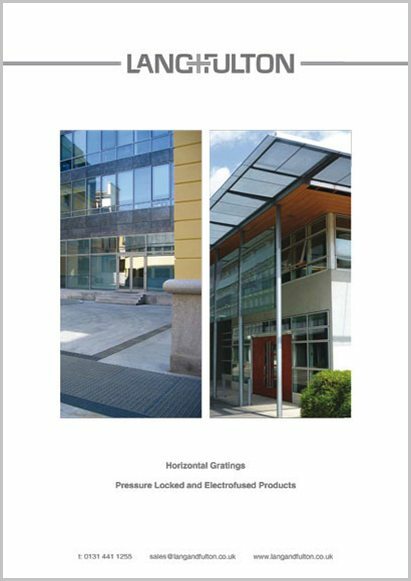 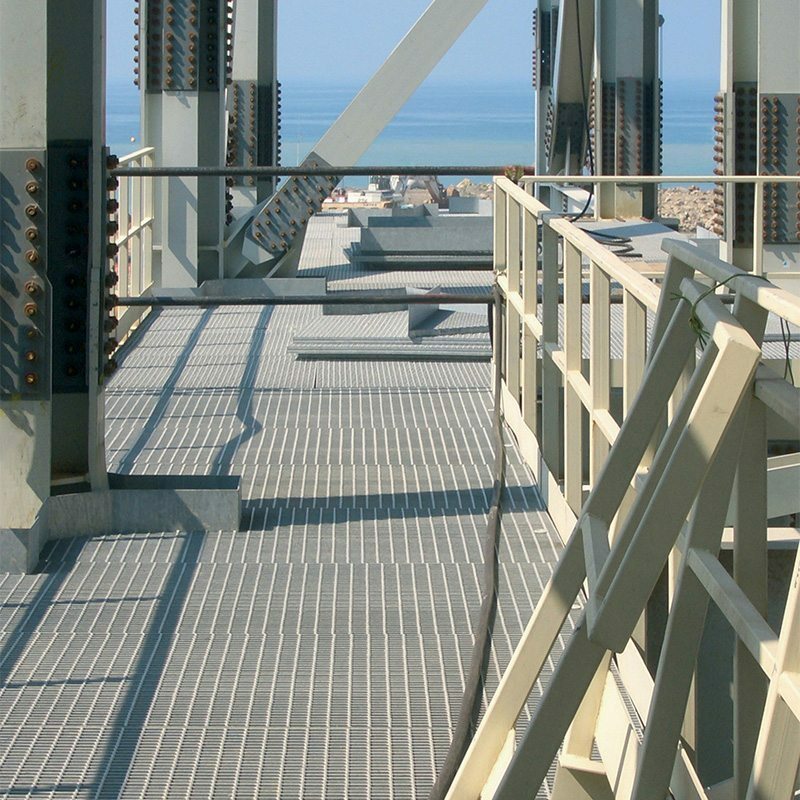 Off-shore grating was originally designed to satisfy the extreme weather conditions and safety requirements of the oil industry but it is now used in other sectors where open grid flooring is installed above an existing thoroughfare.